The constant rattling has become the background music to my very sad life! Actually the make model and year of my car was not on the list but it would not let me move on to the next screen so I had to put in my dad's vehicle and I do not know much about it. I do know that he's had it for a long time it is a smaller truck so it does not call very easily it is only a two-seater it gets decent gas mileage it does drive pretty smooth that is about all I know. Reliable truck. Big on durability, small package. Maintained its a great vehicle. 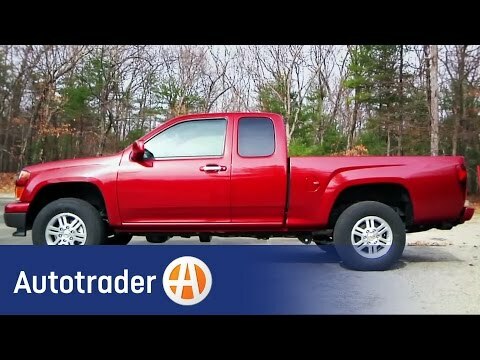 My 2010 Chevrolet Colorado is a small truck that is great for those big jobs but in a smaller version. The truck is a very reliable vehicle. It did have a water pump recall that I had done at the dealership along with sensor problem that wasn't part of the recall. I always get all my oil changed at dealership. The four wheel drive is the best feature on this small truck!! I like the fact that it is a small truck easier to maneuver around!! It makes it easy to move bigger things that you can do with a care. I like that it is a four wheel drive it comes in really handy when the snow starts to fall and I don't have time to clear the driveway! !